Order your own copy of Cosmic Encounter at your local retailer or online through our website today! 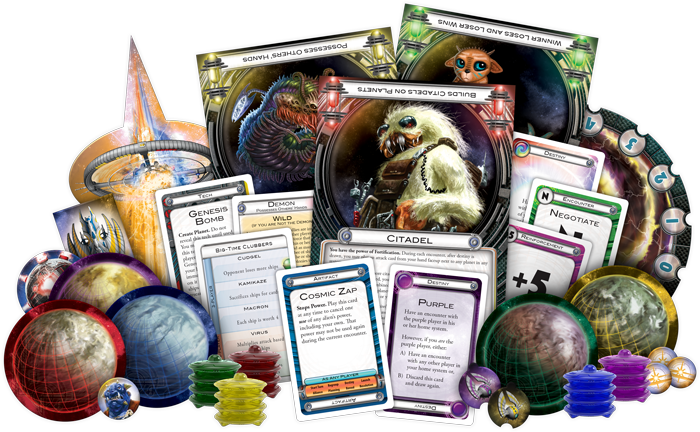 The classic game of interstellar exploration, negotiation, and conflict finds new life in Cosmic Encounter 42nd Anniversary Edition! As spaceship zip between distant planets, you seek to lead your civilization to total cosmic dominance by establishing colonies on five planets in foreign systems. Now with new ships, aliens, and matchup customization options, your mission becomes more immerive than ever as you forge and break alliances, research advanced technologies, and use your unique skills to rise above your rivals and earn victory. It's a wacky and fast-paced race to the finish line, but you must still gather as much information as possible before the race begins to ensure that you are not left in the dust. Today, we're pleased to help you prepare for your grand cosmic conquest with a look at the Quick-Start Guide for Cosmic Encounter 42nd Anniversary Edition—now available for pre-order at your local retailer or online through our website! The time is fast approaching when Cosmic Encounter 42nd Anniversary Edition will land at retailers and draw you back to the classic game of galactic colonization. Now is the time to ready your ship before you jump through the hyperspace gate to unknown planets across the stars. Where will destiny lead you? Build your alliances, plot your betrayals, and ensure your civilization’s dominance across the vast reaches of space! 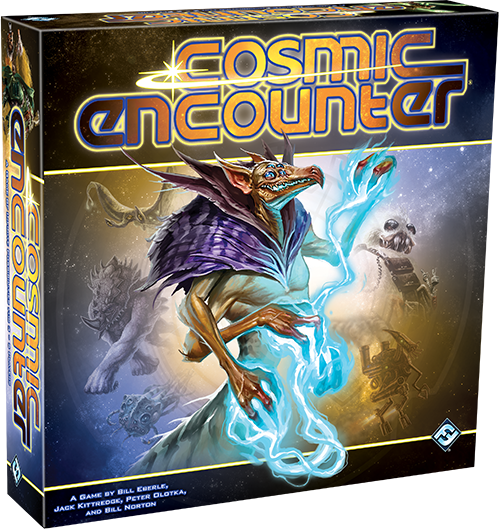 Look for Cosmic Encounter 42nd Anniversary Edition (CE01) when it becomes the new standard edition in the third quarter of 2018! You can pre-order the new edition at your local retailer today or online through our webstore here!